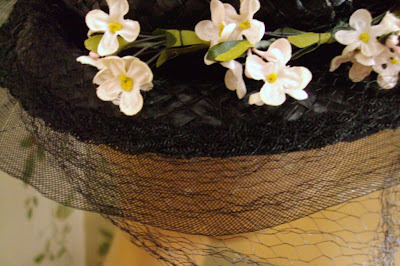 I have boaters on the brain. All shapes & sizes. 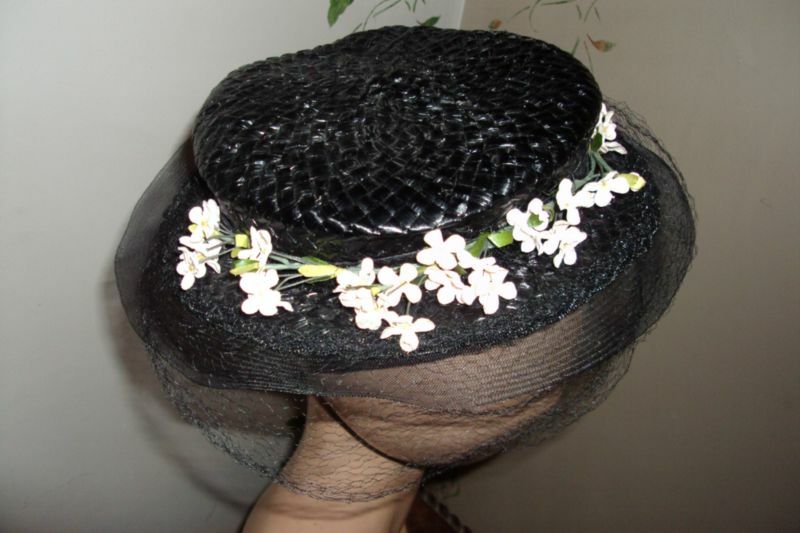 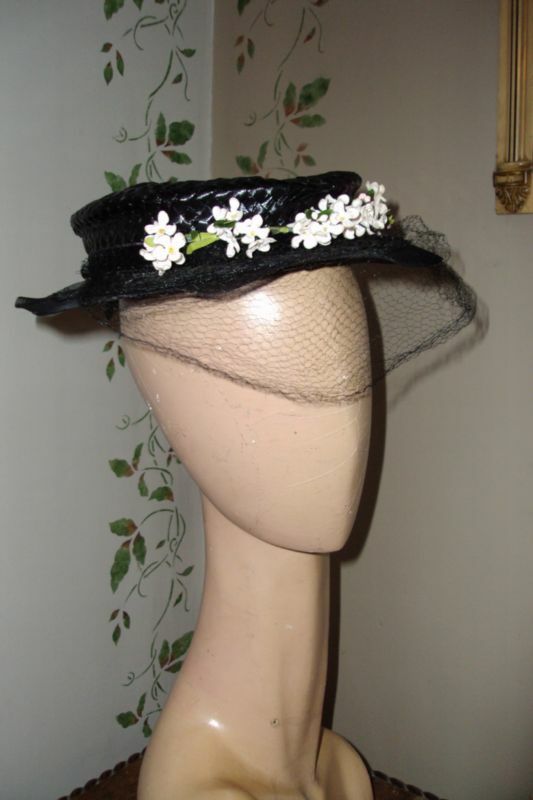 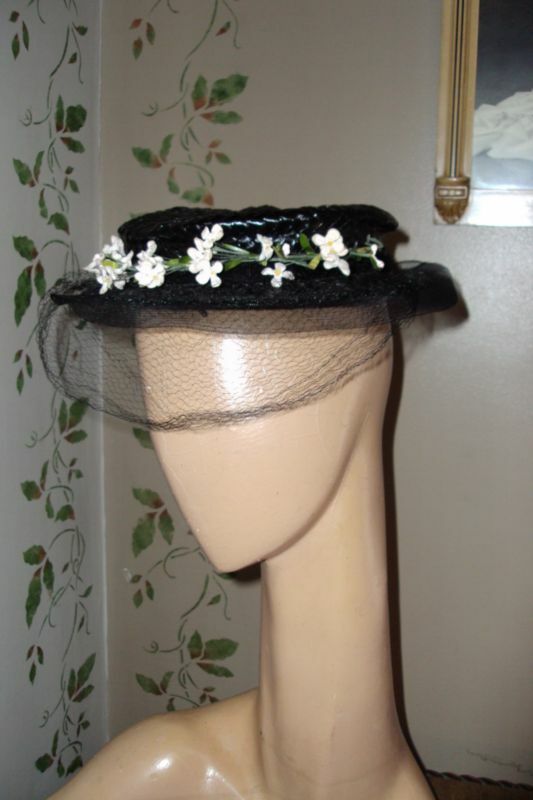 Love this tiny black straw boater, with veiling and little white flowers. 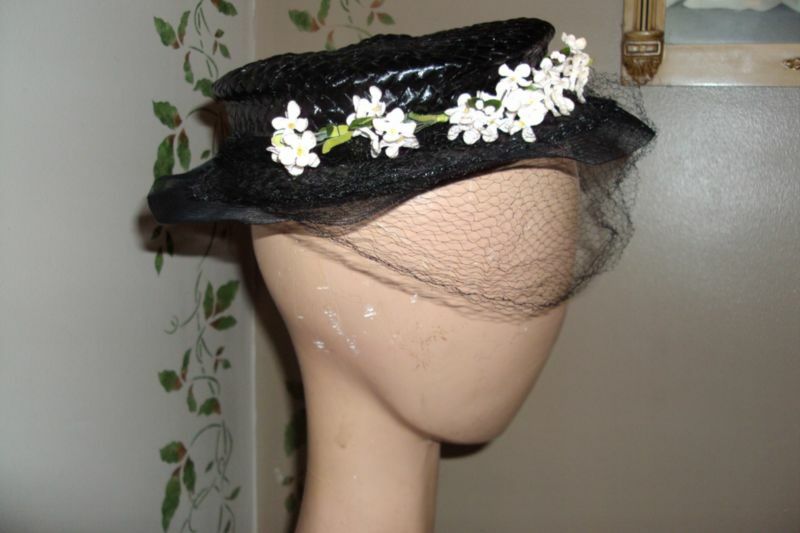 Mid 20th century.